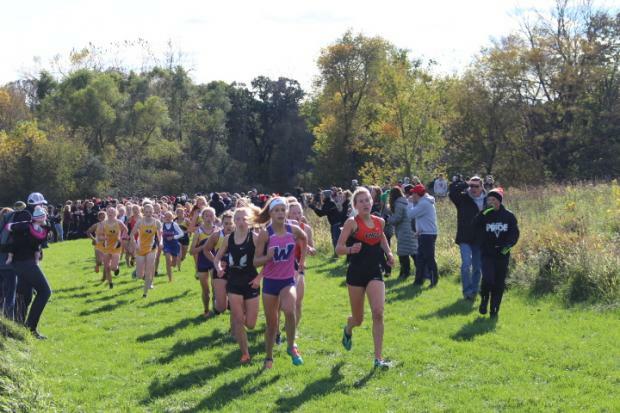 The CIML Central and CIML CIC Conference Championship races were combined into one race, the CIML Championship, hosted by Southeast Polk High School due to poor course conditions around the state. With the combination, three of the top girls teams who will be fighting for podium spots in Fort Dodge later this month had a chance to compete head to head for the first time this season. The front finishers represented each team- Matti Plummer of Southeast Polk who nabbed the win on her home course, Peyton Kelderman of Waukee, and Brooke McKee of Johnston. Plummer, a sophomore and rookie to cross country was in the front pack with Kelderman and McKee through the final mile of the race, finishing the hardest in the last 150 meters to bring home the win amongst her home crowd. This was the first time McKee has lost a race that she has finished in this season, though with the Conferences split she is still the CIML Central Champion. She also lead the Johnston Dragons to yet another win, further extending their impressive undefeated streak. The Waukee Girls won the CIML CIC with 37 points over Southeast Polk's 39 points, a very close race indeed! Johnston won the Central Conference with 20 points over Dowling Catholic's 54 points. When combined, Johnston scored 48 points, Waukee scored 60, and SEP scored 66. Matti had this to say about her race, and win at home. 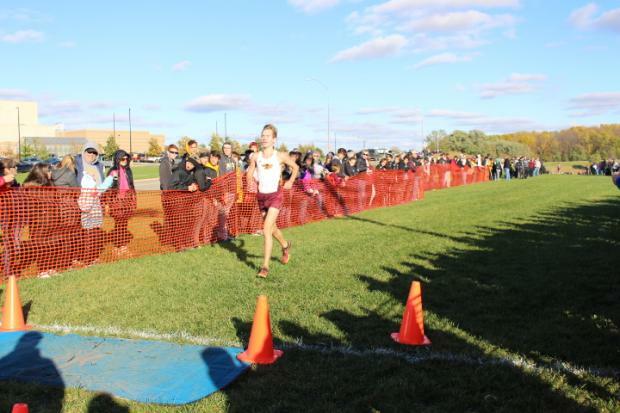 On the men's side, Tim Sindt cruised to yet another comfortable victory and lead the Ankeny Hawks to a third place finish. The Johnston boys came in hot to beat them with 51 points, a strong showing for the Dragons. Sindt's time of 16:02 won by 18 seconds over Dowling's Sam Hall, quite a different result from his race a week ago where he clocked a huge PR of 14:51. Sindt looked quite relaxed through the first mile letting others lead the way through the mud and hills, then took over the lead and quickly pulled away from the field in the second half of the race. In the Central Conference, Dowling won with a great score of just 39 points, followed by Johnston with 51. In the CIC Conference, Waukee won with the lowest score of the meet with just 19 points over Southeast Polk's 52 points. Combined, Dowling won with 47 points, followed by Johnston with 68 and Waukee with 76. Sindt has noticeably worn a red wristband for each race, a point of interest for those who have watched him dominate all season. Here is what he had to say about his race and the special significance behind the wristband. Click the links below to see photos from the race!